Just a sleepy little town outside of San Antone! I hate that the song doesn’t even rhyme… Also, having lived 20 years in S.A., I know nobody calls it “San Antone” except tourists and songwriters. 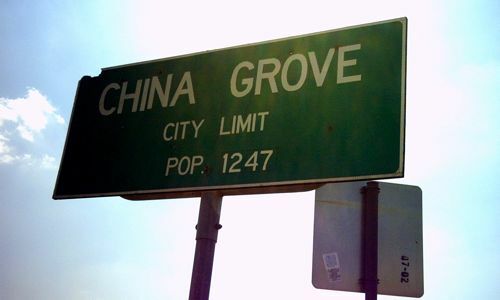 I moved 1500 miles away here to Oriental, NC, and there is a China Grove not 10 miles away… and it is much, much sleepier than the one southeast of S.A.!